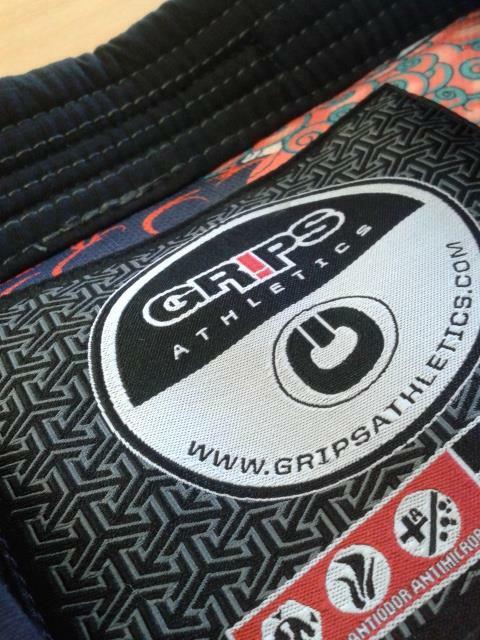 With the level of detail, quality of the stitching and the eye catching inner lining of the GRIPS Athleticsai??? 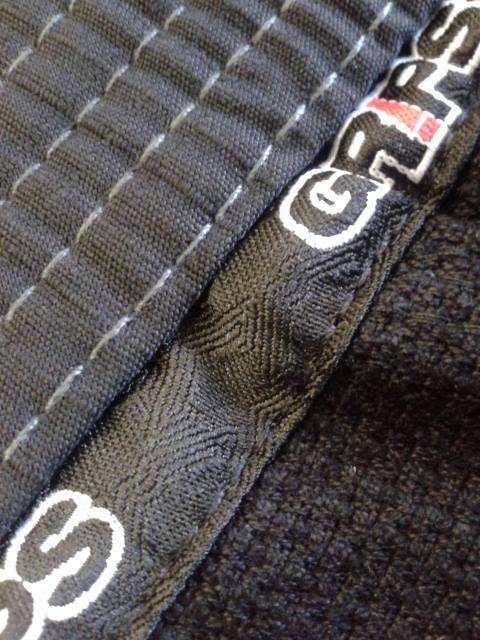 Secret Weapon 2.0 BJJ Gi, we thought that it was only fair that we show you a few close up pictures so that you could better appreciate the design of this impressive Gi. 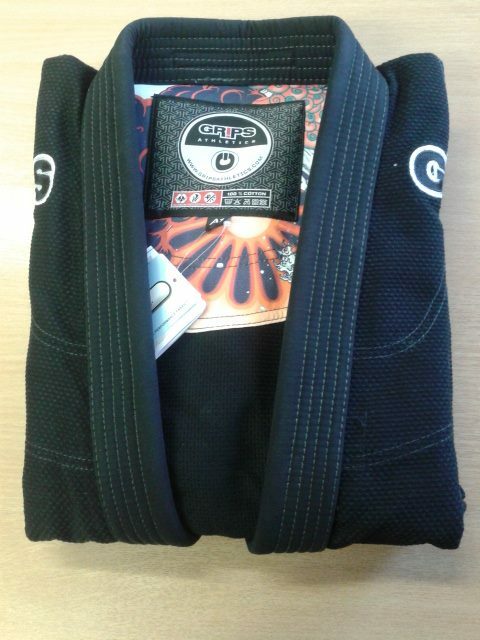 GRIPS ATHLETICS SECRET WEAPON BJJ GI 2.0 BLACK – Gi PantsAi?? 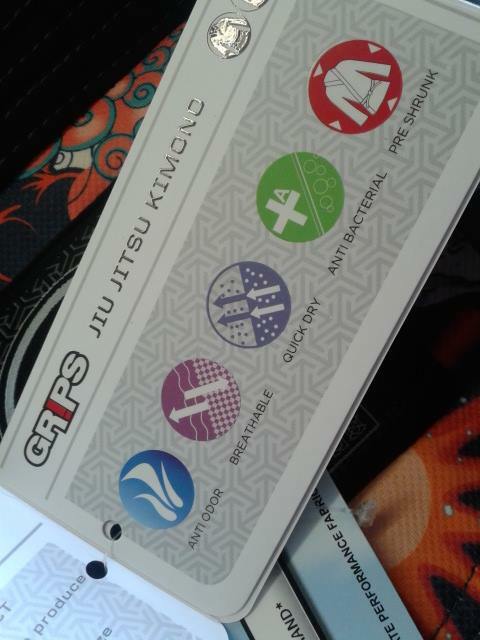 GRIPS ATHLETICS SECRET WEAPON BJJ GI 2.0 BLACK – Gi Pants PatchAi?? 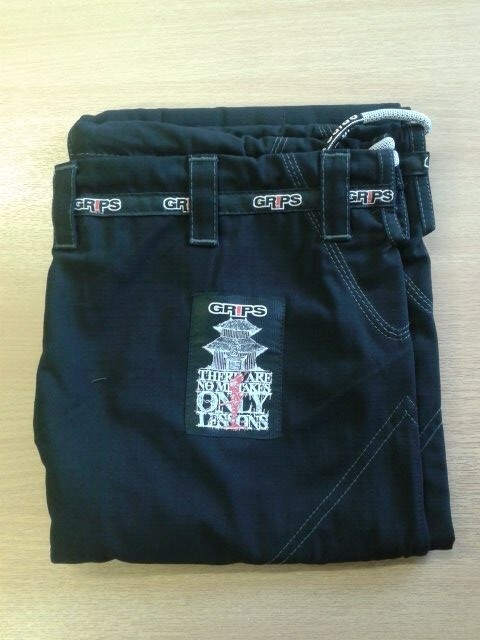 GRIPS ATHLETICS SECRET WEAPON BJJ GI 2.0 BLACK – Gi Pants Leg PatchAi?? 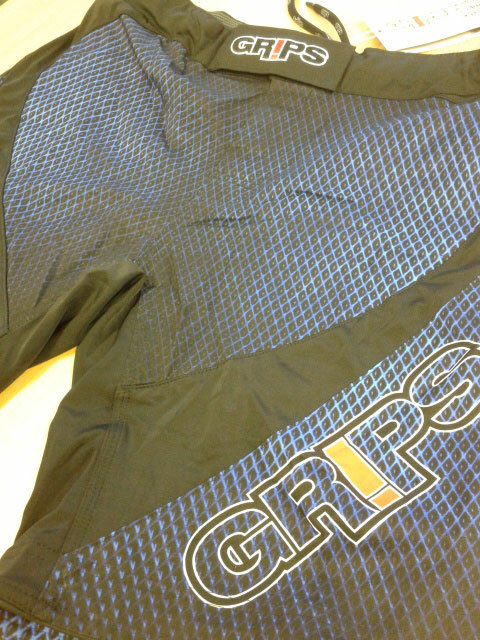 GRIPS ATHLETICS SECRET WEAPON BJJ GI 2.0 BLACK – Gi Pants Reinforced LiningAi?? 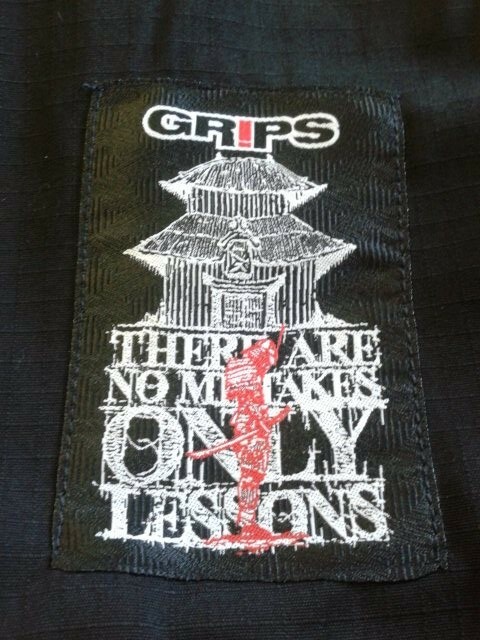 GRIPS ATHLETICS SECRET WEAPON BJJ GI 2.0 BLACK – Gi Pants Stitching QualityAi?? 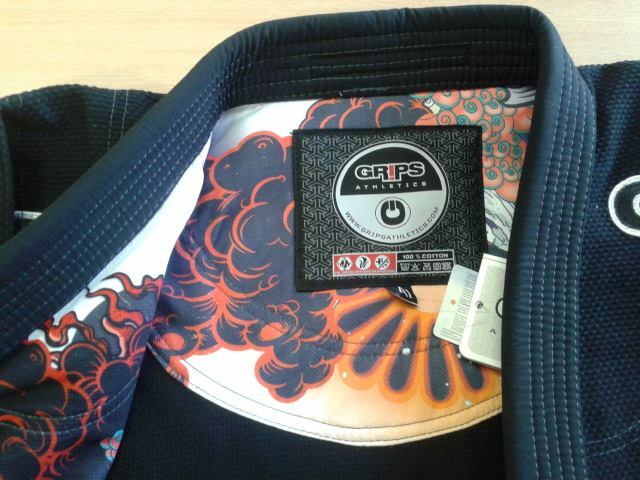 GRIPS ATHLETICS SECRET WEAPON BJJ GI 2.0 BLACK – Gi Pants Reinforced CrotchAi?? 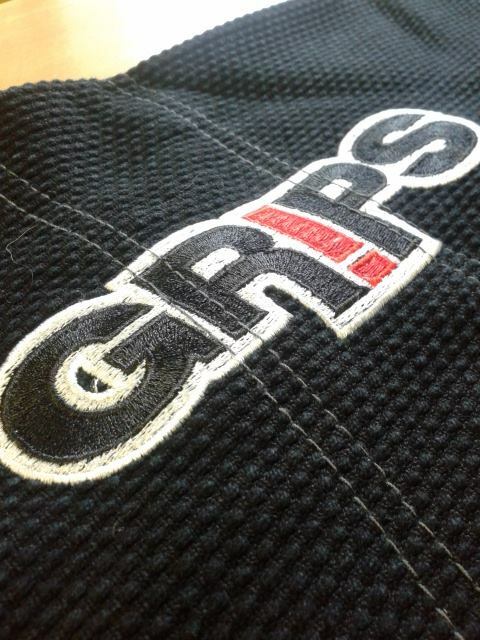 GRIPS ATHLETICS SECRET WEAPON BJJ GI 2.0 BLACK – Gi Pants DrawstringAi?? 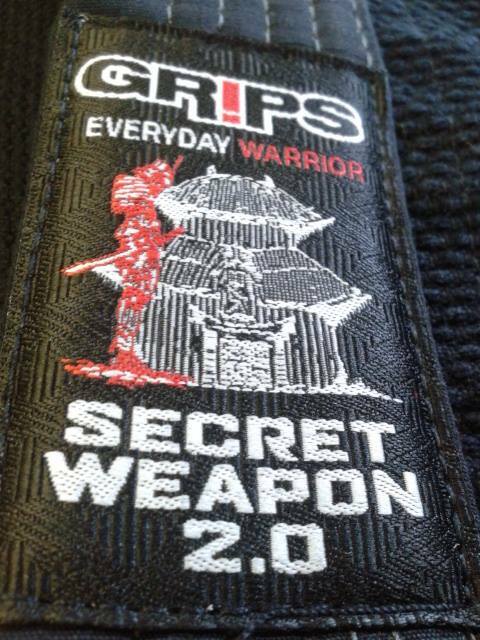 GRIPS ATHLETICS SECRET WEAPON BJJ GI 2.0 BLACK – LabelAi?? 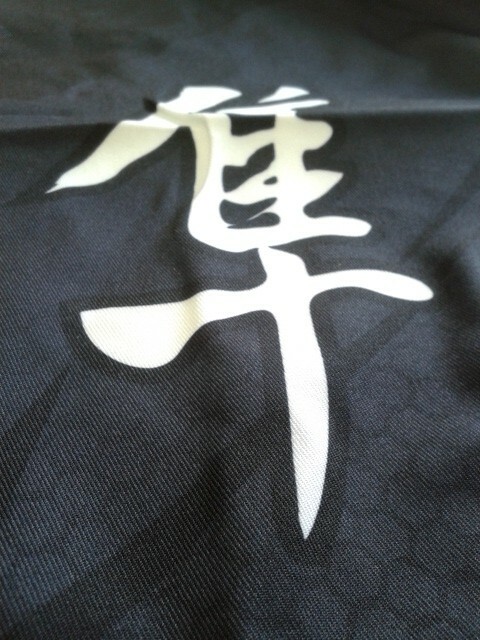 This entry was posted in Products on 23.05.2014 by MMAFightwear. 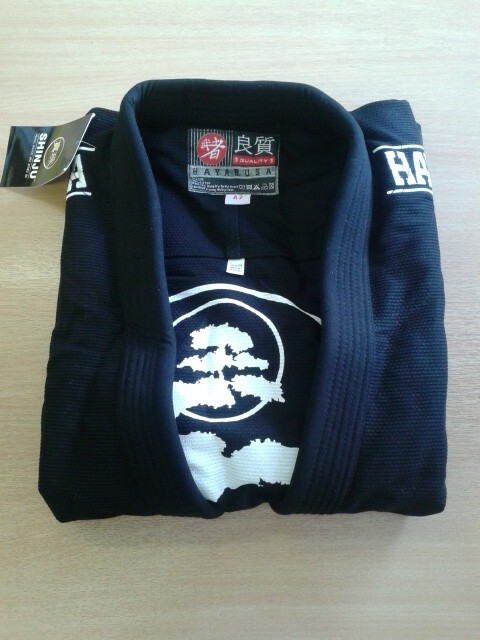 We’ve taken a few extra pics to show off some of the impressive detail on the new Hayabusa Shinju Pearl Weave Jiu Jitsu Gi. 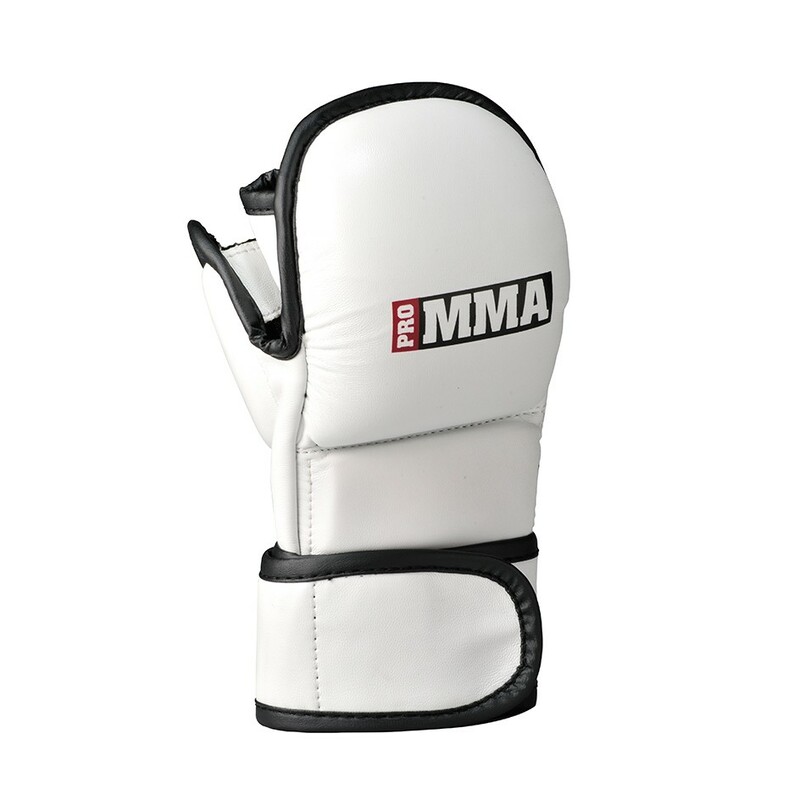 This entry was posted in Products on 22.05.2014 by MMAFightwear. 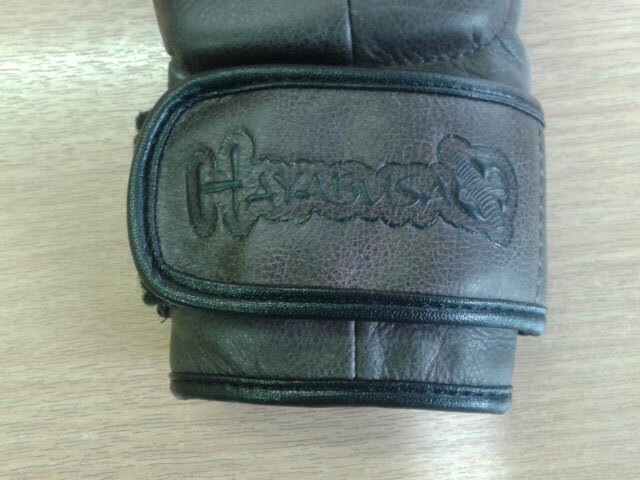 By no means a new product, we just felt that these particular gloves were due a little more exposure due to the fact they still remain one of the most impressive looking products ever released by Hayabusa. 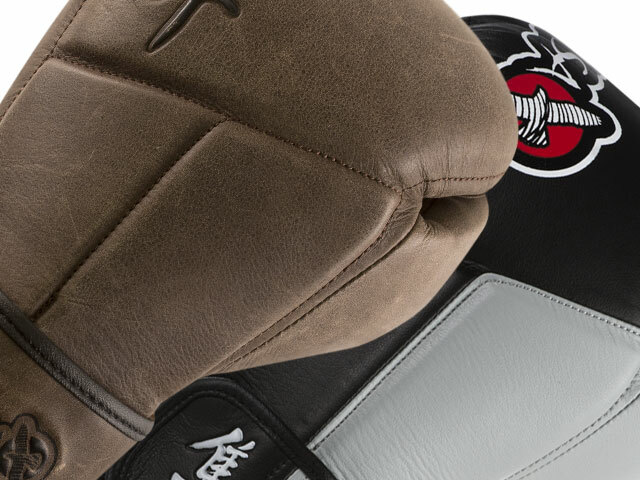 In fact, everything in the Kanpeki Elite Series range from Hayabusa looks just as good, with their classic, vintage leather look combining the latest MMA sports equipment technology, surely there’s nothing to dislike. Sometimes, it is hard to get an accurate feel for a product when they are viewed online, so we’ve decided to get a few a close up pictures taken of the Kanpeki Elite Series 2.0 MMA Gloves to show just how good these gloves actually look and feel. 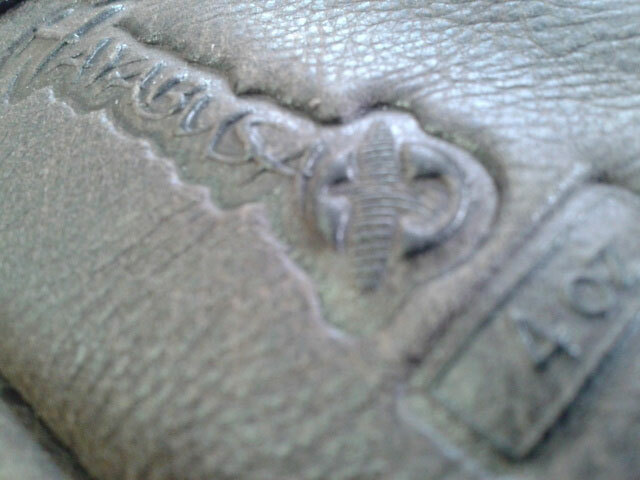 (Embossed Hayabusa Logo -Ai? 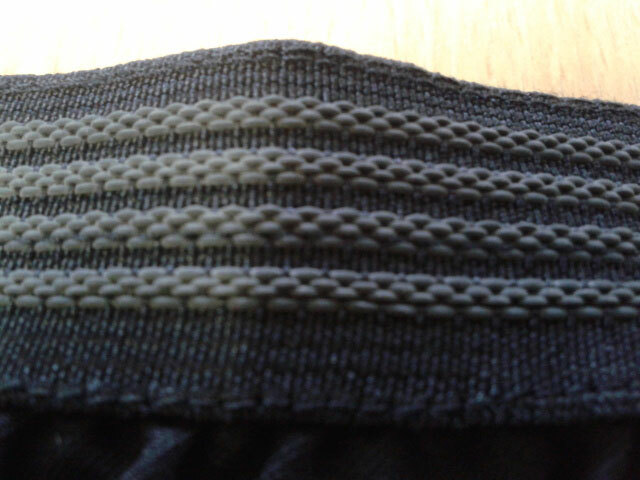 ?Wrist Strap Detail)Ai?? 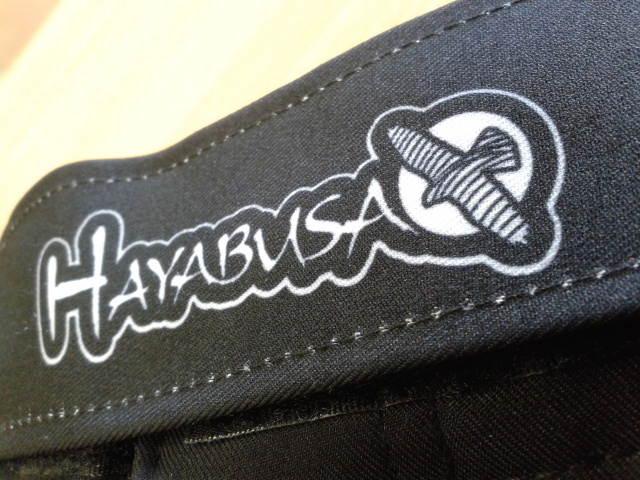 (Embossed Hayabusa Logo – Inside Wrist Strap Detail)Ai?? 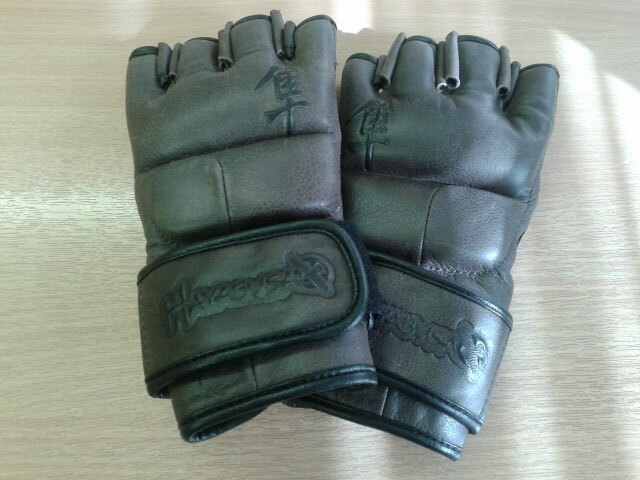 The above images really show off the quality of the Full Grain Premium Leather used to create these MMA Gloves, as well as the attention to detail of the embossed Hayabusa Logo’s and Hayabusa Kanji. 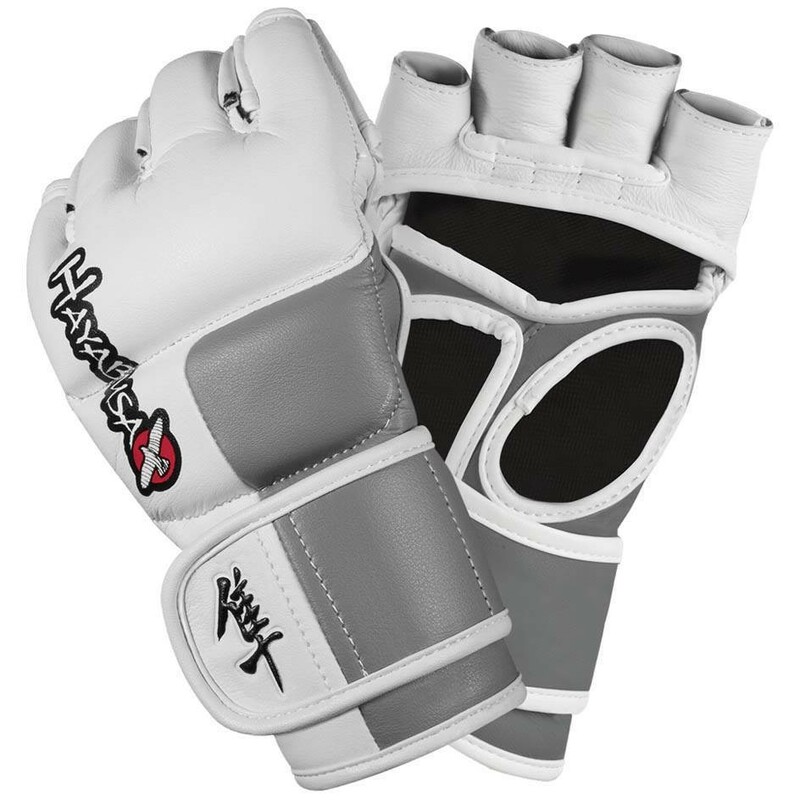 Don’t be fooled by the vintage looking exterior of these gloves, there’s nothing primitive about their features or use of the latest patented Hayabusa innovations. The images below show the same Dual-Xai??? 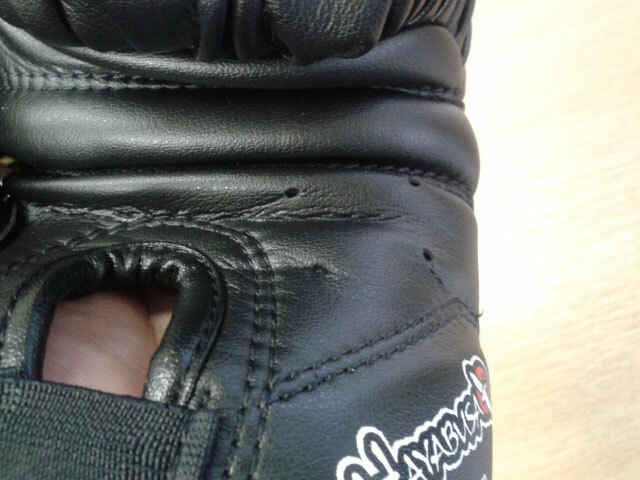 Closure System as used on the Hayabusa Tokushu Series MMA Gloves. 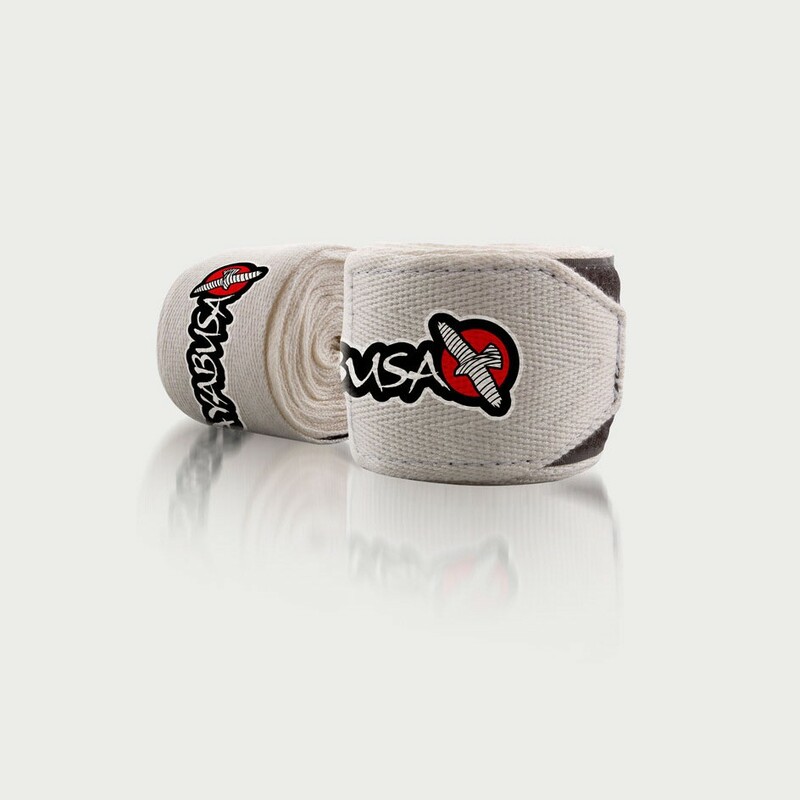 We’ve already praised this particular feature in a previous blog post about the Tokushu Series MMA Gloves, but to sum up in short, this closure system offers extremely effective hand and wrist support and provides such a snug fit that you may not have experienced before with any previous pair of MMA Gloves that you have owned. 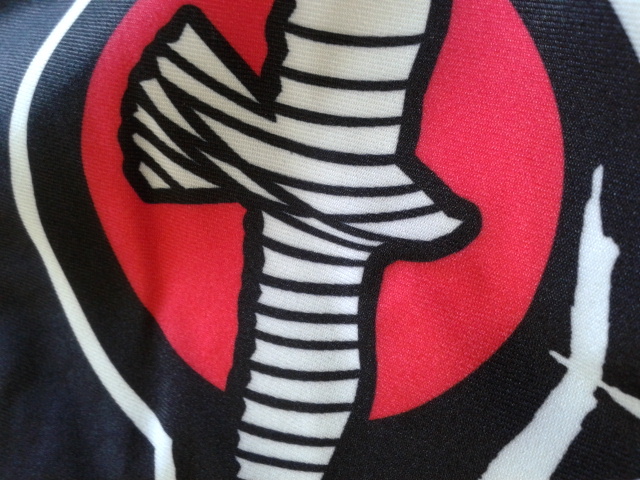 Again, this particular design feature can been seen on the Tokushu Series MMA Gloves, and we feel that it does it’s job in adding to the secure fit and minimising of unwanted shift for the wearer of the gloves very well indeed. As you would expect from any premium Hayabusa product, the quality of stitching and finishing inside and out on these gloves is second to none. Just a final word about these gloves that no amount of images could ever do justice is their smell! 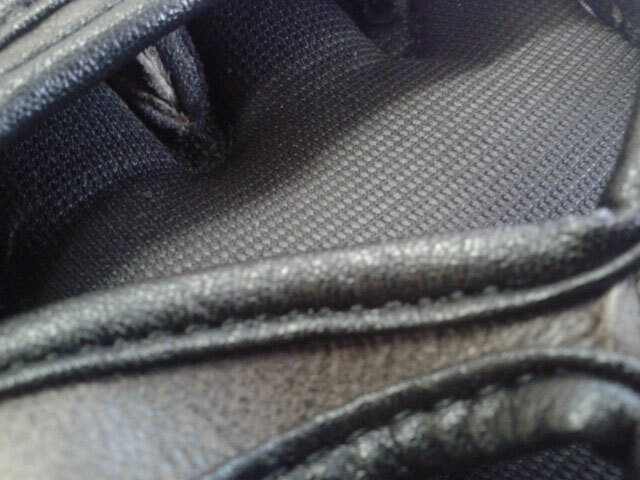 As soon as you get them out of the bag you instantly notice that genuine quality leather smell! This entry was posted in News, Products on 11.03.2014 by MMAFightwear. We often get asked about the differences between the various ranges ofAi? 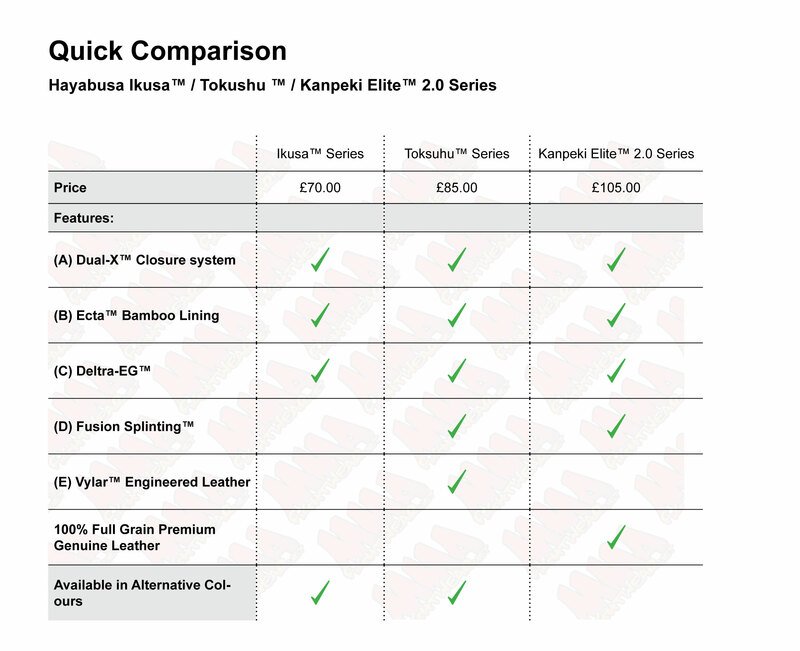 ?Hayabusa Gloves, so we thought it would be useful to do a side by side comparison review for you of their Ikusaai???,Ai??Tokushuai???Ai??andAi? ?Kanpeki Eliteai??? 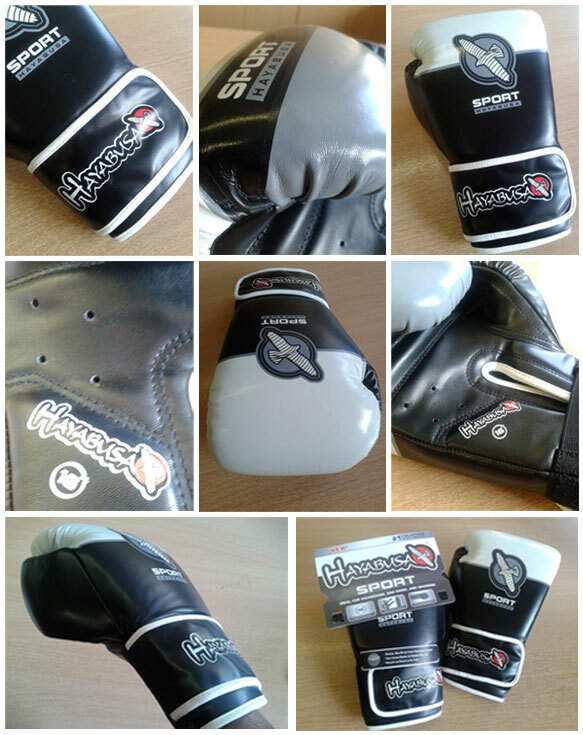 2.0 Series 16oz Gloves. If you are familiar with Hayabusa products, you will know that they have many features listed in their product specifications. For quick reference we have listed the features that you will find in the three ranges of gloves that we are looking at here. Beneath this table you will be able to get a brief breakdown of what the functions of some of the listed features are too. One common feature that we have mentioned in previous blog posts is the use of the effective Dual-Xai??? Closure system that is featured across all three ranges. So whatever your budget or taste, if you choose any glove from the Ikusaai?? ?, Tokushuai??? or Kanpeki Eliteai??? 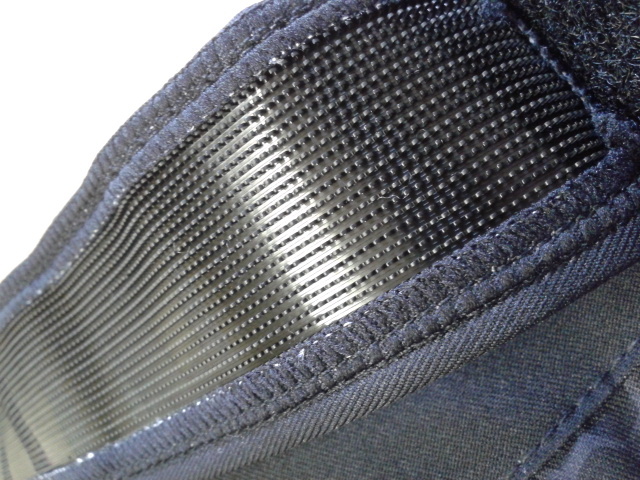 Series, you are ensured piece of mind a secure fit from this innovative patented Hayabusa velcro closure system. 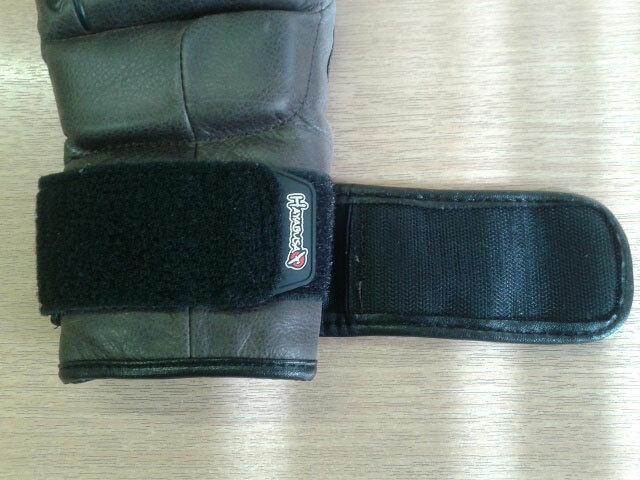 Basically this closure system, developed by Hayabusa, uses multiple velcro straps secured at various points on the wrist area of the glove to make sure that you can tighten the gloves in place in a way that is as good as anything we’ve ever seen on any pair of gloves. 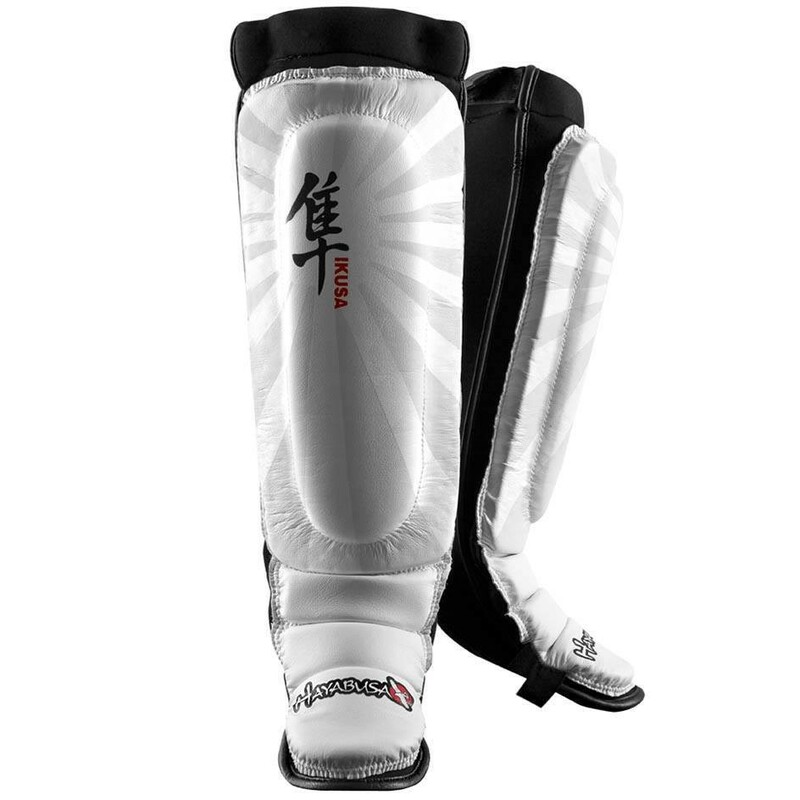 Click here to see the Official Hayabusa Dual-Xai??? Closure system video for more information. 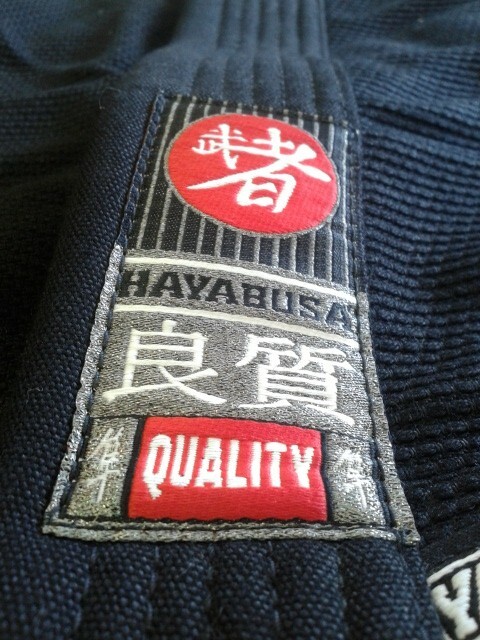 When comparing the quality of stitching and finishing, it is clear that Hayabusa pay close attention to detail with respect to this. Upon close inspection it obvious that all three ranges have been finished to a high standard. 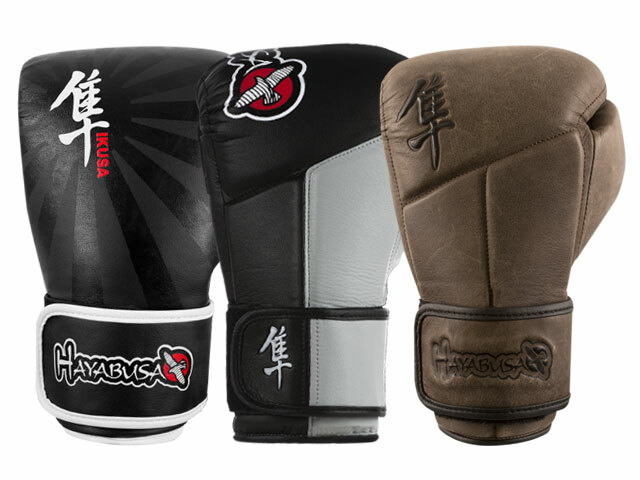 All three ranges are made with the exclusive Hayabusa Ectaai??? 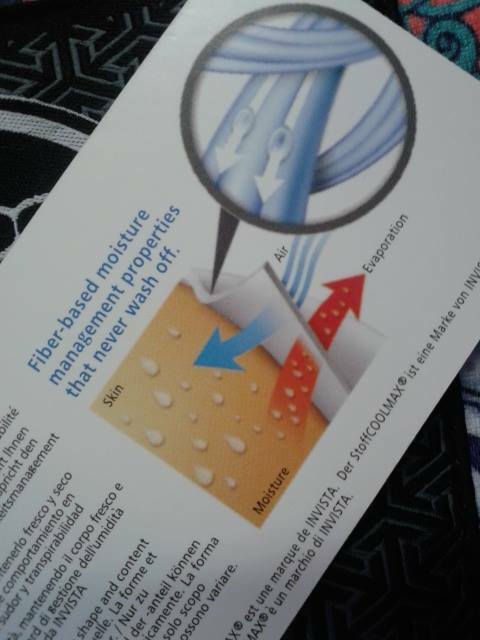 bamboo lining which is said to provide “thermoregulating” and “deodorising properties” and provide “extreme comfort”. 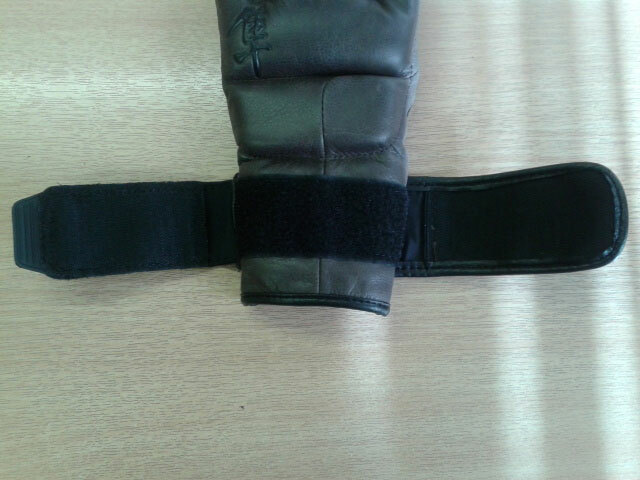 When you put any of these gloves you will notice straight away, just how soft and comfortable the lining is. The Ikusaai?? ?, Tokushuai??? and Kanpeki Eliteai??? 2.0 Series all feature another Hayabusa trademarked development called Deltra-EGai??? Technology. This scientifically tested foam inner core boasts such qualities as “recovering instantly from strikes”, being able to “flawlessly manipulate impact energy” to “provide superior protection”. By comparing the three styles of gloves side by side, you can see that the Ikusa appear to be more simplistic in terms of their design and construction. The Fusion Splintingai??? 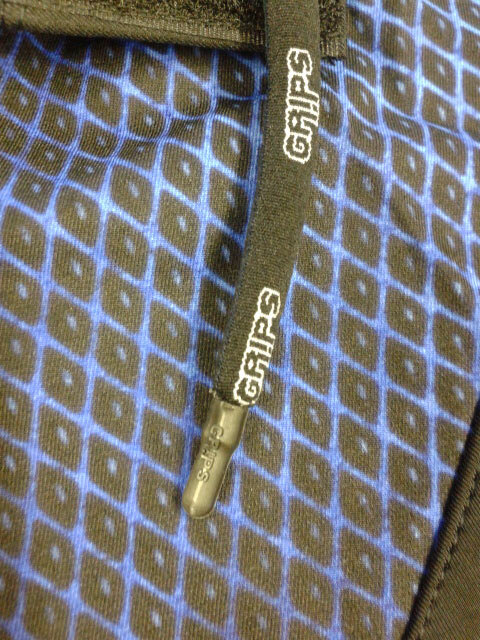 design highlighted by theAi?? 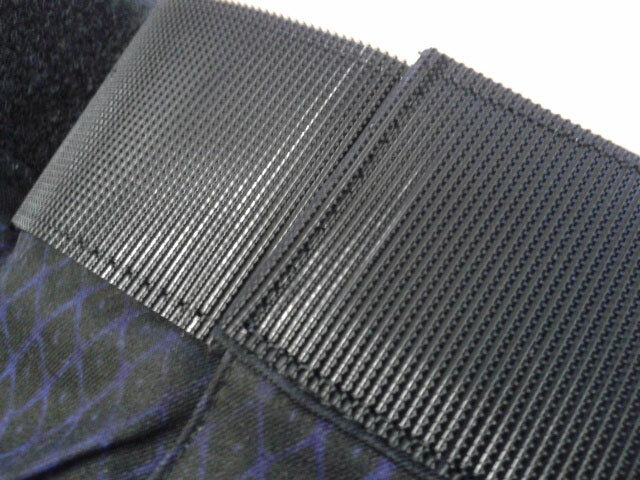 panelling and stitching pattern is the most obvious difference that separates both the Tokushuai??? and Kanpeki Eliteai??? Series from the Ikusaai???. The Fusion Splintingai??? 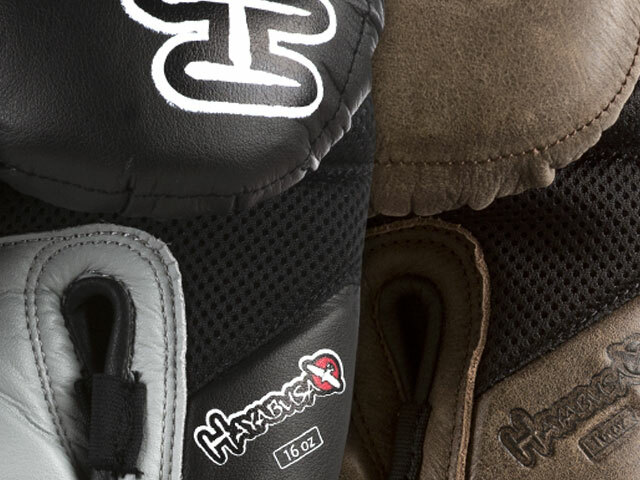 design is of course more than just a visual feature, it is actually an innovative development from Hayabusa to help increase hand and wrist protection and to ensure the correct hand alignment for the wearer of the glove. Click hereAi? 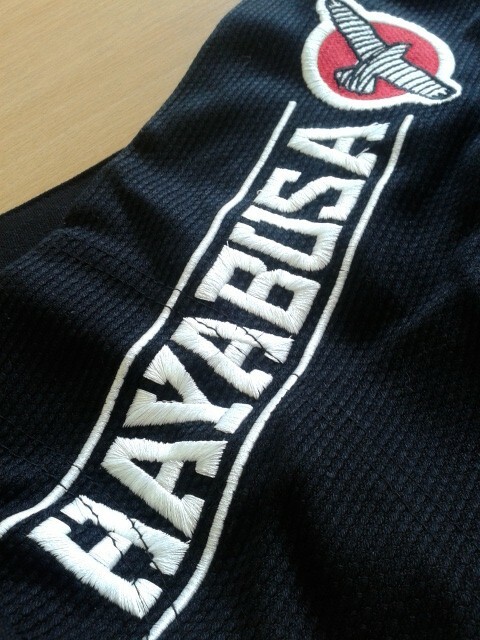 ?to see the Official Hayabusa Fusion Splintingai???Ai? ?video for more information. 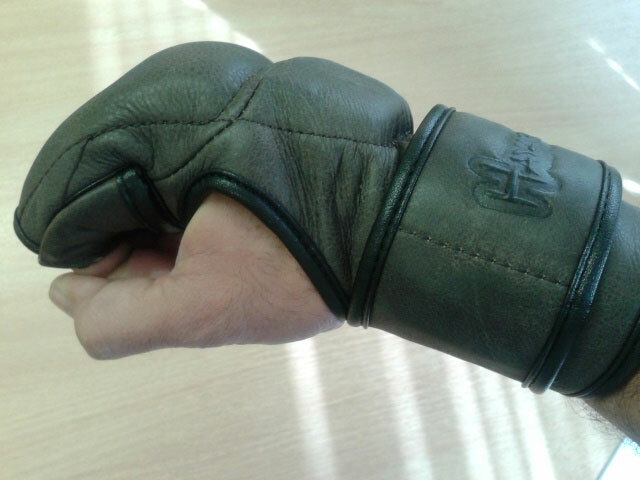 A further notable difference between the three styles is the material used to make the gloves. ai???Ai? ?The Ikusaai??? 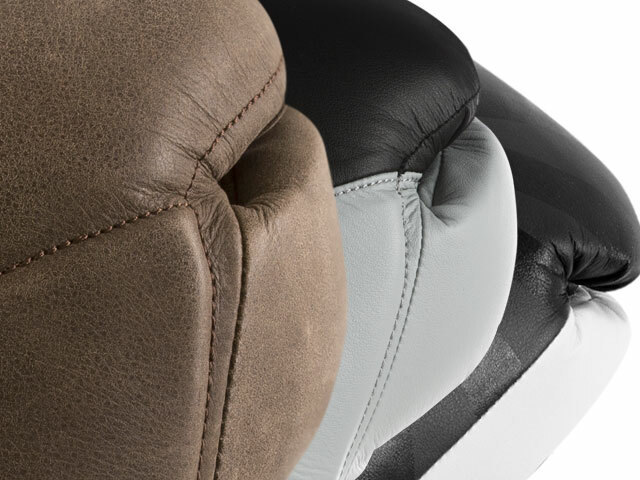 Series uses an Engineered Leather material that feels soft yet durable. ai???Ai? ?The Tokushuai??? Series uses another kind of Engineered Leather called Vylarai???.Ai? ?This rigorously tested material has been put through it’s paces by Hayabusa and boasts hard wearing and resistant to damage properties. Click hereAi? ?to see the Official HayabusaAi??Vylarai???Ai? ?video for more information. ai???Ai? ?The Kanpeki Eliteai??? 2.0 Series uses a Full Grain Premium Leather material. 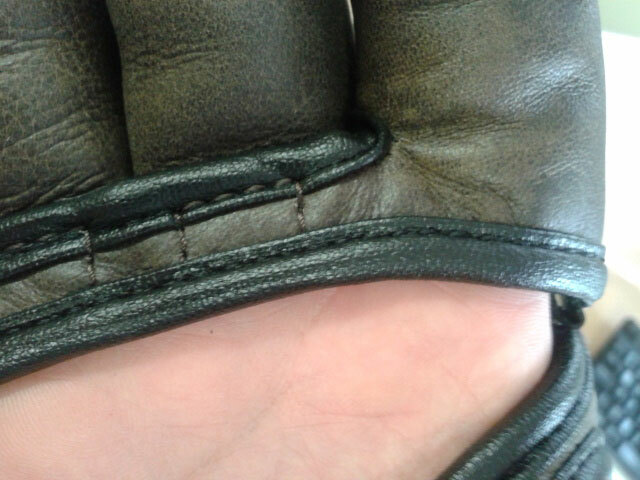 The quality of the leather is evident as soon as you get these gloves out of the bag. 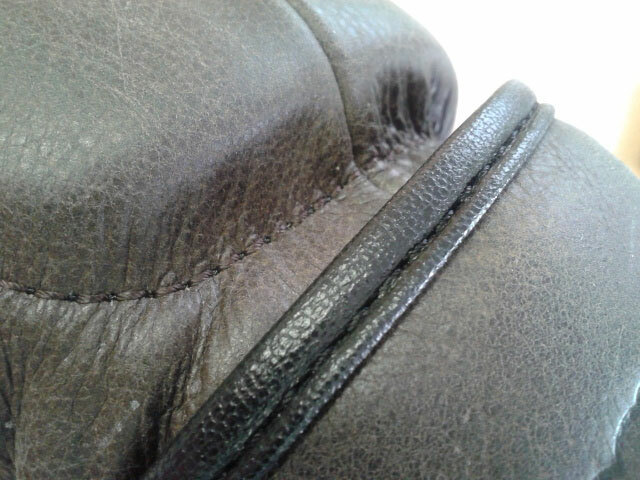 The natural, distressed of look of this premium grade material gives the Kanpeki Eliteai??? Series a timeless classic look. 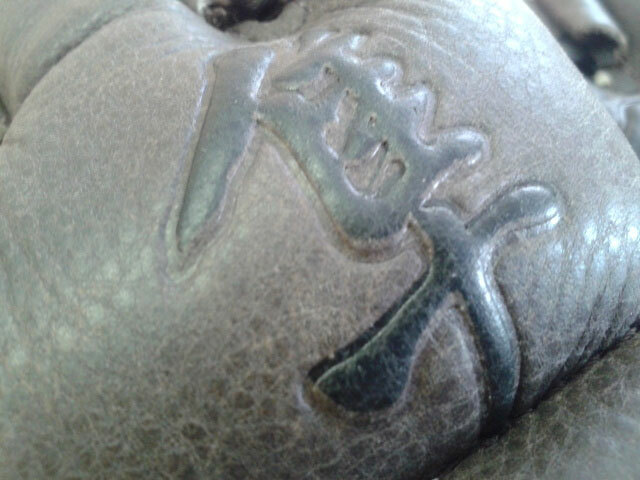 From the photo’s below, you will also notice that both the Tokushuai??? and Kanpeki Eliteai??? Gloves have a breathable mesh material constructed in to the palm areas. 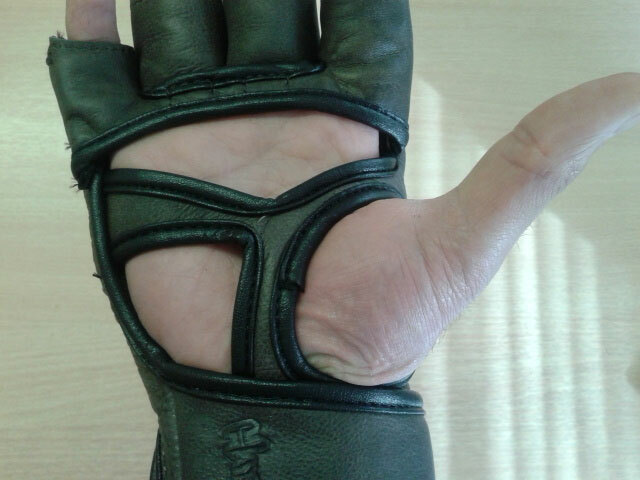 This differs to the Ikusa Glove palm, that has adopted a more traditional full covered palm with air holes. 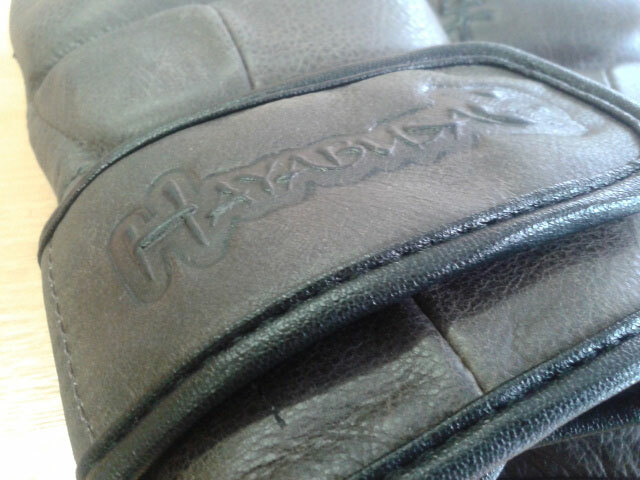 The Hayabusa Ikusa Series Gloves are a comfortable, well made glove that feature the excellent Hayabusa Dual-Xai??? Closure system and have all of the hallmarks of a quality made product that you would expect from this premium brand. 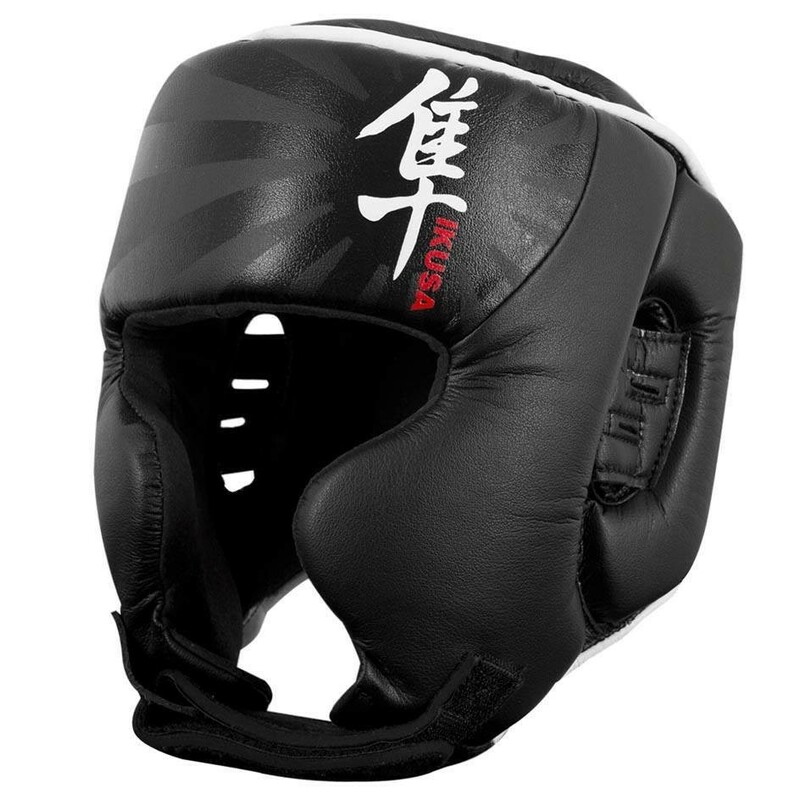 If you are in the market for something new and fancy spending a little more on a quality pair of sparring gloves, but are not quite ready to go all out for the Tokushuai??? or Kanpeki Eliteai??? Series Gloves, then the Ikusaai??? Series 16oz Gloves are certainly an excellent alternative. With the Tokushuai??? and Kanpeki Eliteai??? Series, you are paying the extra amount due to the standard of engineered leather and genuine leather used respectively on these premium lines. In addition to this, both of the afore mentioned ranges utilise the Hayabusa Fusion Splintingai??? 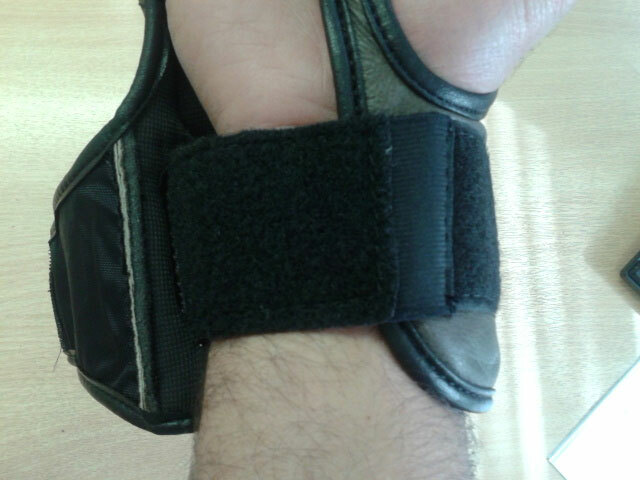 Technology for a more advanced level of hand and wrist protection too. With this in mind, you will be investing in the hours of research and testing that Hayabusa have carried out in order to develop this innovative technology. This entry was posted in News, Products on 6.03.2014 by MMAFightwear. 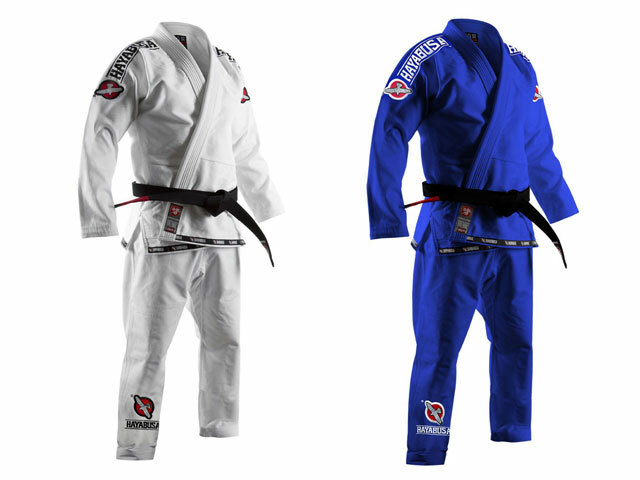 As the Official UK & European Distributor for Hayabusa, we are always excited to get our hands on their latest products as soon as they come in to us. With the design of theAi? 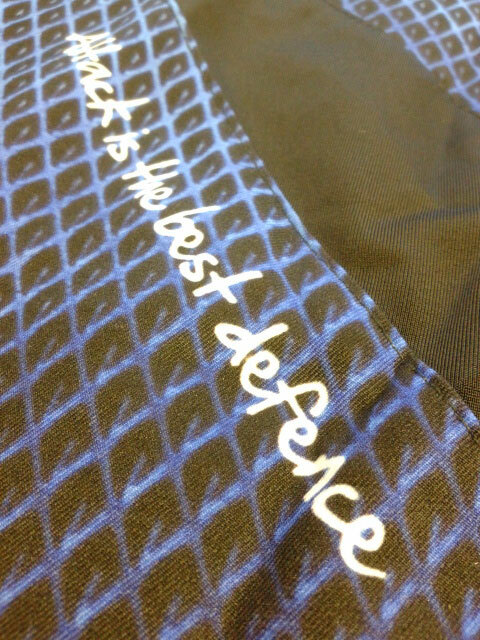 ?Hayabusa Metaru RashguardsAi? ?proving to be a massive success, we couldnai??i? 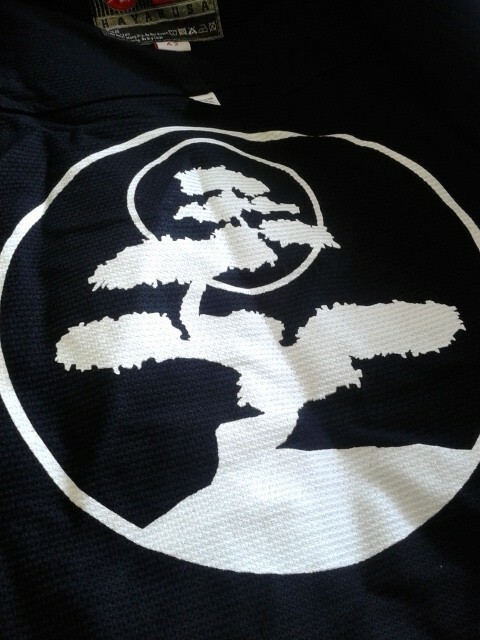 ?t wait to see how the similar design would be applied to the newAi? 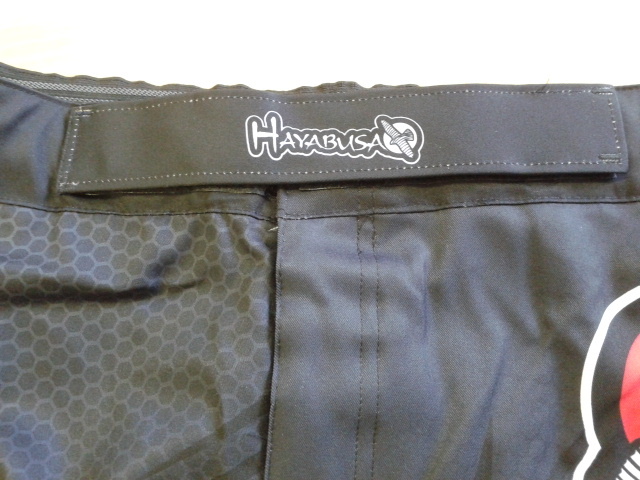 ?Hayabusa Metaru Performance Shorts. ai??? The new Hayabusa Metaru Performance Shorts have been billed as being tough and durable, but without compromising on comfort. 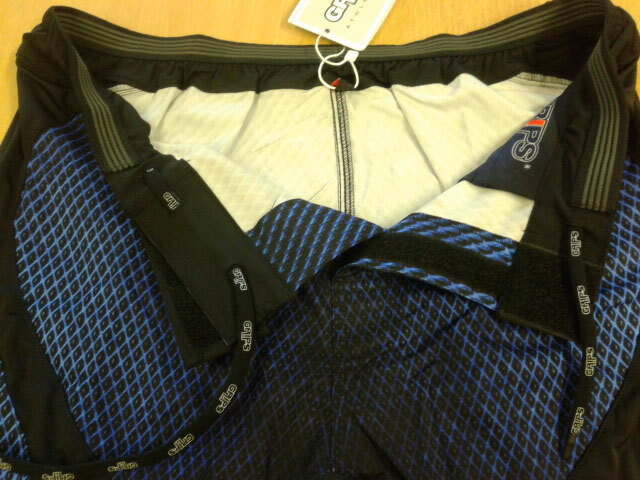 Straight out of the bag, you can feel how light these shorts are, but at the same time, how strong the material is. 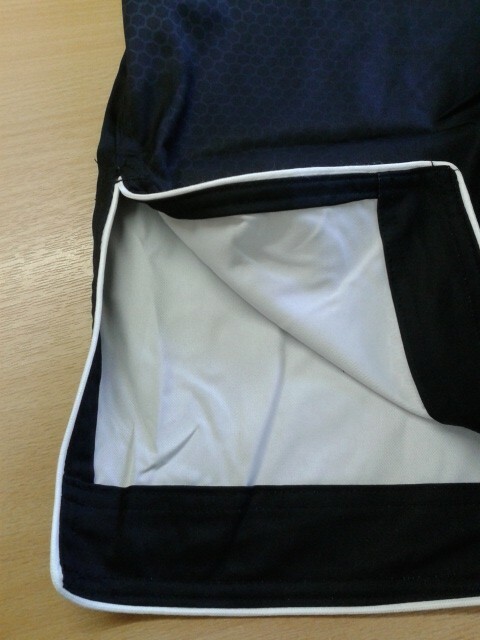 In addition to this, the finishing and stitching on the shorts was immaculate inside and out and looked very secure. ai???Ai? 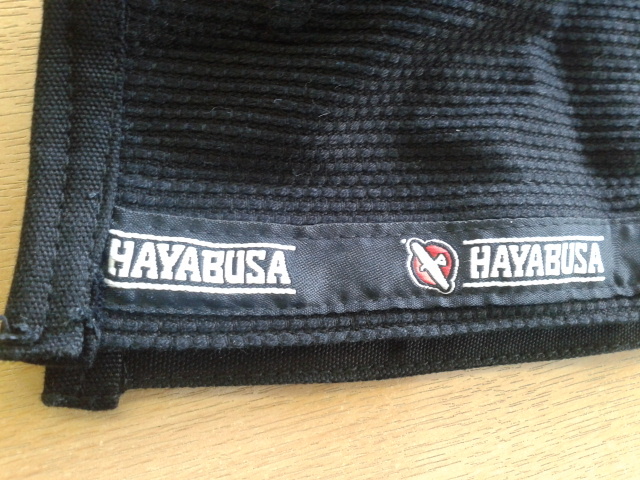 ?If you know your Hayabusa Fight Shorts, then the Stretch FabricAi? 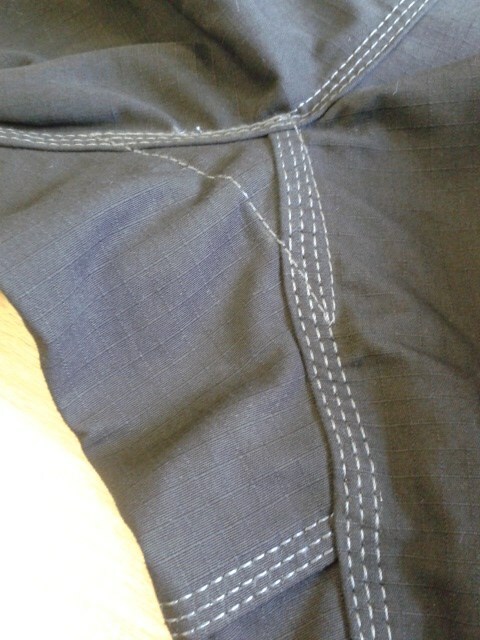 ?crotch area (shown below) and Side Split Seams will need no explanation. For those of you not so familiar with such features, the Stretch Fabric, is just what it says in the name, a tough Spandex / Polyester fabric used to provide extra mobility and reduce restriction of movement for the wearer of the short. ai???Ai? ?The Side Split SeamsAi?? (shown below), perform a similar function with regards to helping to aid mobility and reduced and kind of manoeuvrability restrictions. If you are not used to recentAi? 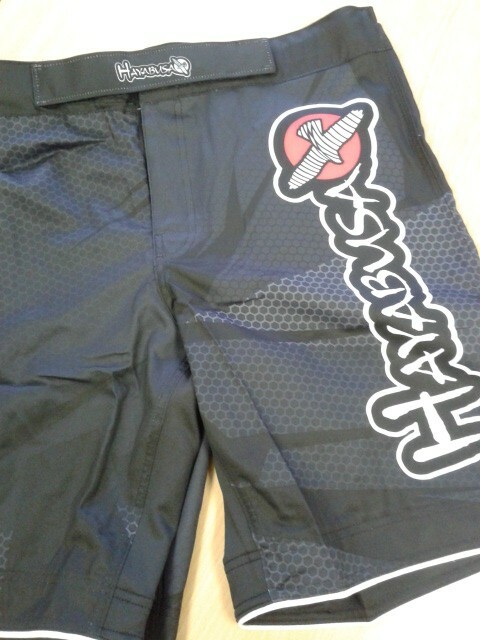 ?Hayabusa Fight Shorts, then you may notice that the Side Split Seams are finished slightly higher in to the side of the leg than some other brands, helping to give more freedom of movement. ai???Ai? ?The Velcro Enclosure systemAi?? 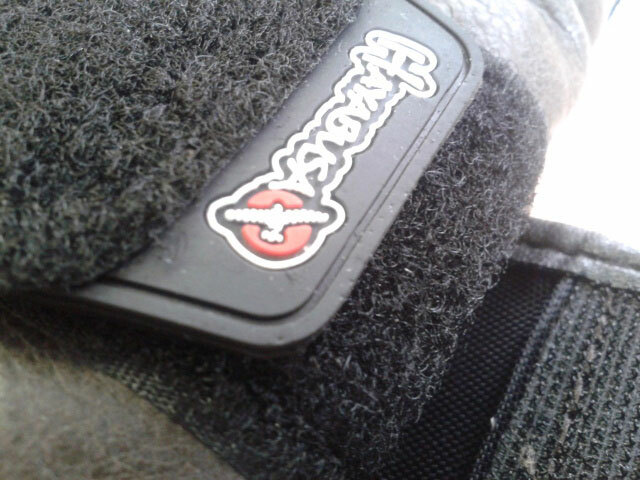 (shown above) looks as secure as ever, utilising multiple Velcro panels and is backed up the Hayabusa Innovative Tie System. You will see from the close up image that these shorts use a special kind of velcro panel that will not stick to the drawstring lace. ai???Ai? ?The Innovative Tie SystemAi?? 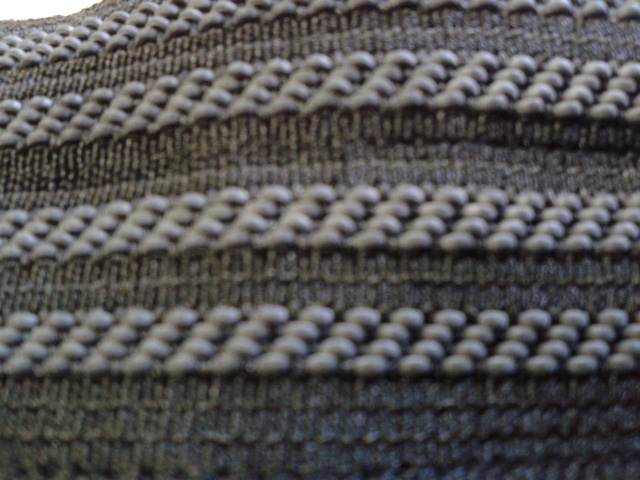 (shown below) uses a single, tough and durable drawstring that has been looped around the waist. 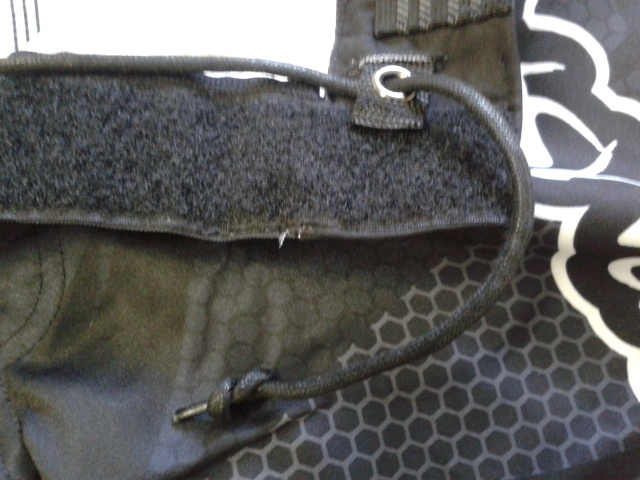 The longer end is then brought across and behind the front of the waistband and looped through an eyelet which also sits behind the Velcro Enclosure System. ai???Ai? 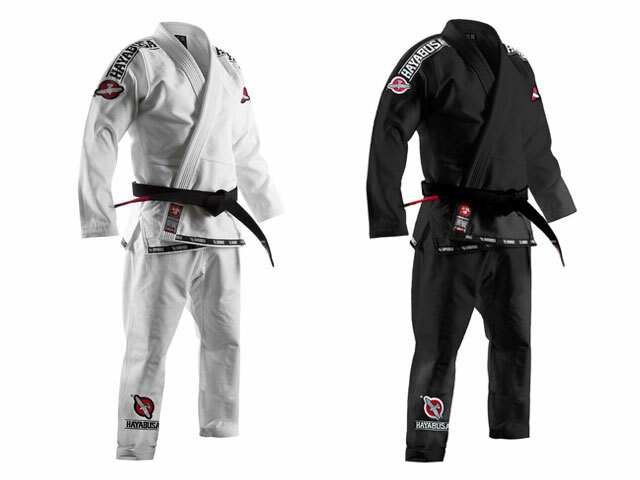 ?We know from previous Hayabusa Fight Shorts that use this kind of tie system that it really works to help secure the shorts in place extremely well, eliminating the issue of snapping the drawstring and losing it within the waistband. ai???Ai? 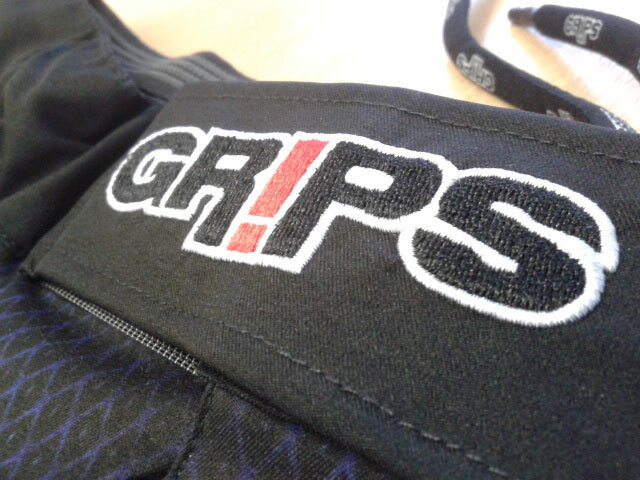 ?The Inner Grip WaistbandAi?? 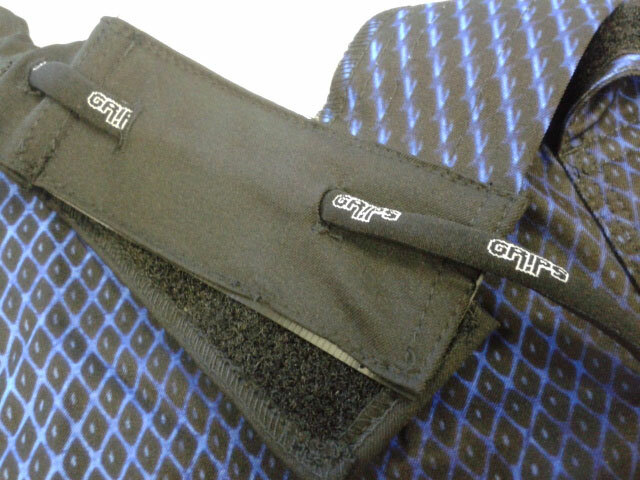 (shown below) is another feature that has been used on this particular short, and as you can see from the image, the many small rubber dimples that line the waistband provide an effective gripping system that will help to minimise unwanted movement and shift. ai???Ai? 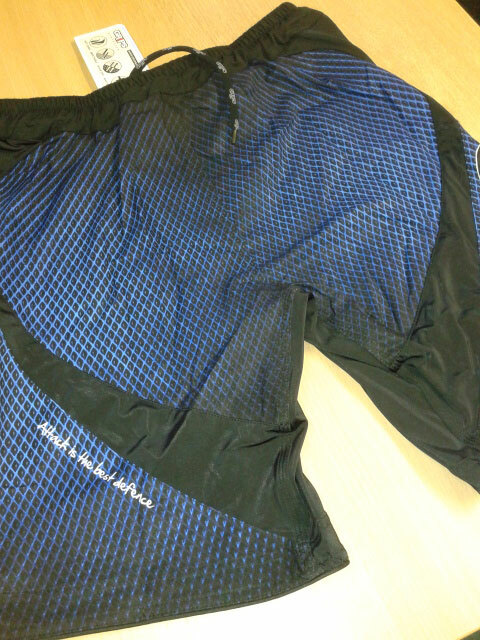 ?The actual design and use of the similar pattern as seen on the Hayabusa Metaru Rashguards (shown below)Ai? 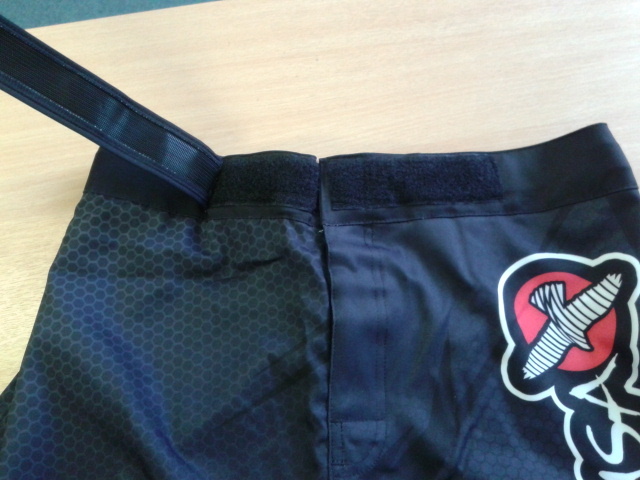 ?is quite subtle, so those of you in favour of more understated designs will be a big fan of these shorts. ai???Ai? 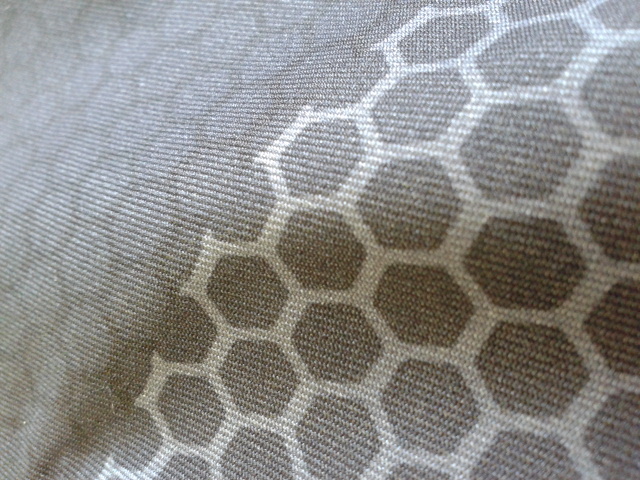 ?Some of close up images above show you the pattern in more detail and help you to get a better impression of the look of these shorts. 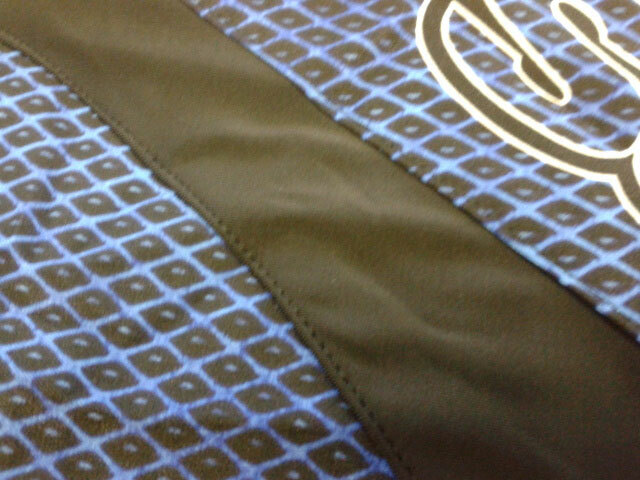 The sublimated printing is of a very high standard and is very crisp and clear. 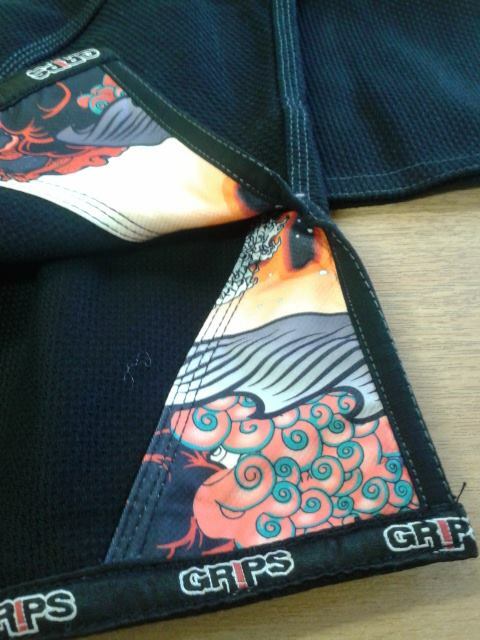 The designs are fused within the fabric fibres to make them very hard wearing. ai???Ai? 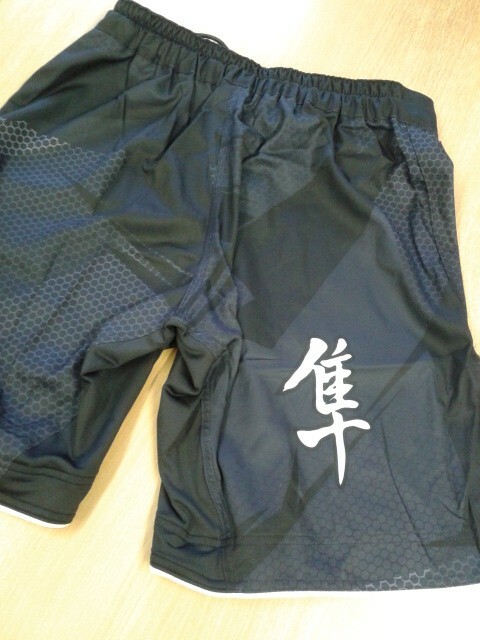 ?Overall the new Hayabusa Metaru Performance Shorts are highly impressive and are a great example of what you would expect from a premium level fight short. 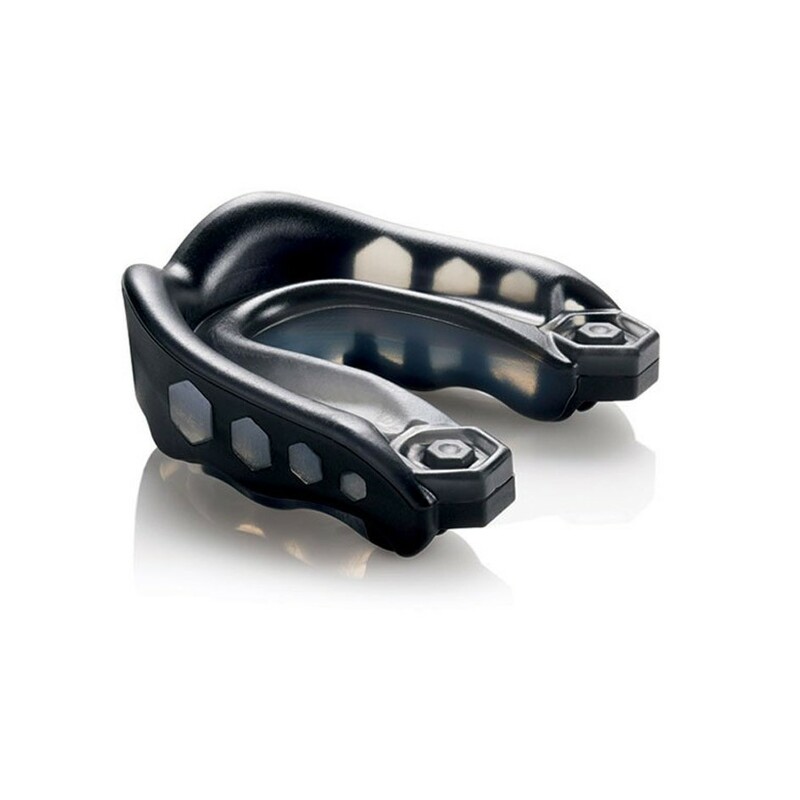 They feel tough and durable, yet light weight enough to be comfortable. ai???Ai? ?With their additional features to assist with manoeuvrability and maintaining a secure fit, these shorts really do tick all the boxes in terms of being more than up to the job, plus they use the ultra cool Metaru honeycomb pattern and design, so they look as good as they feel too! Out of the Bag Rating – 5 out of 5 Stars! 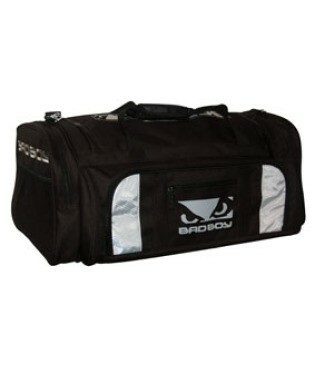 This entry was posted in Products on 26.02.2014 by MMAFightwear. 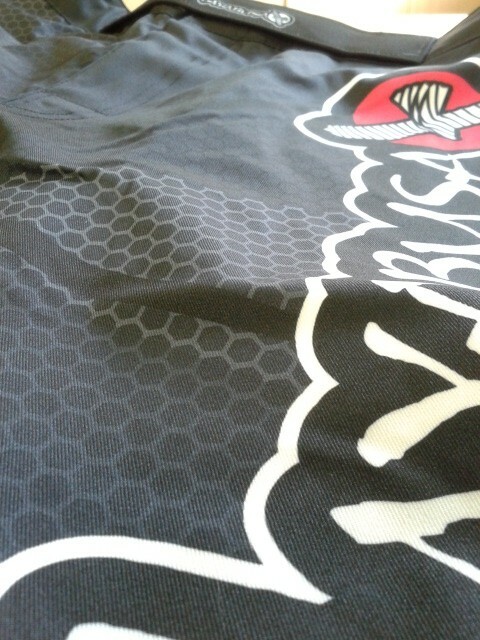 As with any new product that we get in here at MMA Fightwear, one of the first things that we like to do is get it out of the bag and give it a good quality check to make sure it looks up to scratch. 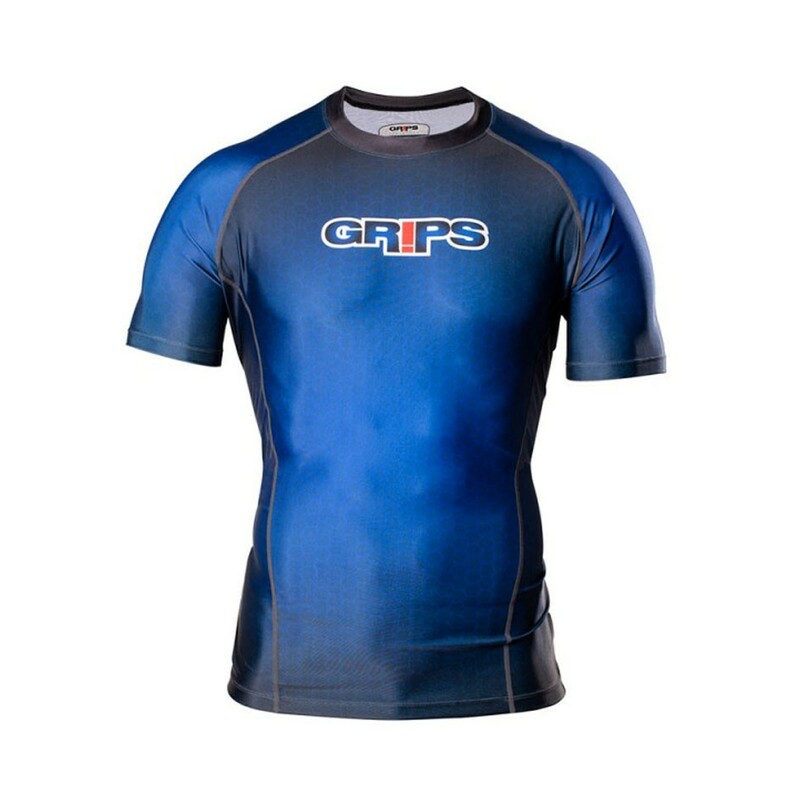 Our overall first impression of the; Grips Athletics Diablo Fight ShortsAi?? – Blue CageAi? ?colour, were that good that we thought we would share them with you. ai??? 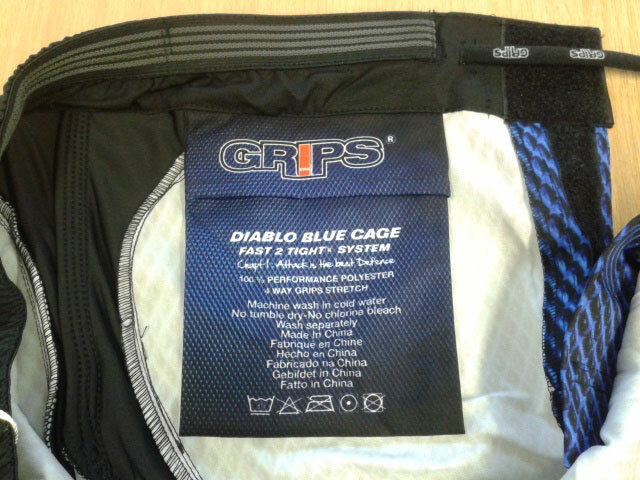 The Diablo Fight Shorts were light weight, but felt well made and solidly constructed. We also liked the faded ai?? ?Blue Cageai??? 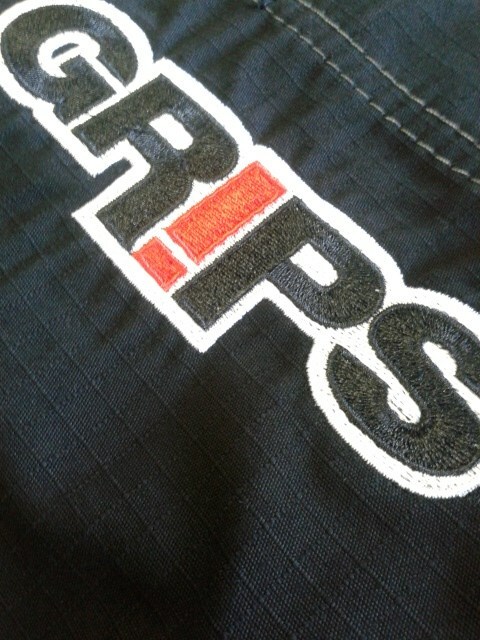 print and embroidered Grips Logo on these shorts too. ai??? 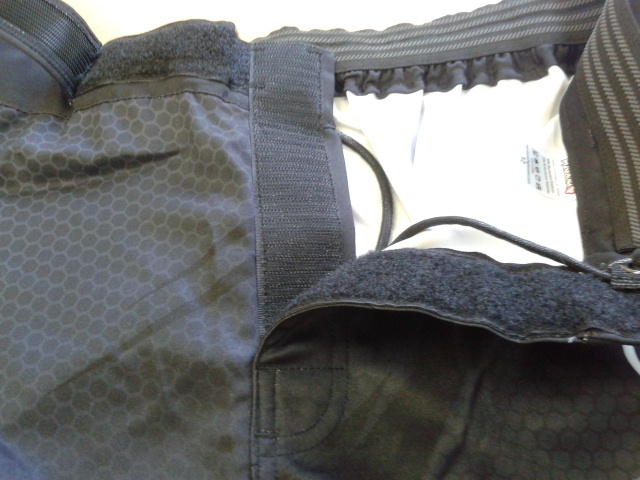 One of the first things that we looked at on these Fight Shorts, was the velcro enclosure system and waist area. ai??? Fight Shorts can often use different enclosure systems and we are always keen to see how different products approach this, because if itai??i? 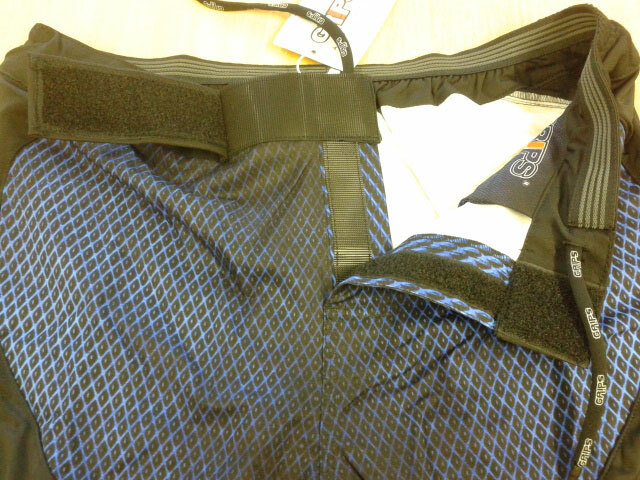 ?s done right it can make a huge difference to the overall comfort and performance of a Fight Short. ai??? First impressions were good, the enclosure system seemed very secure yet not overly complicated or bulky. ai??? The Safe Lockai??? 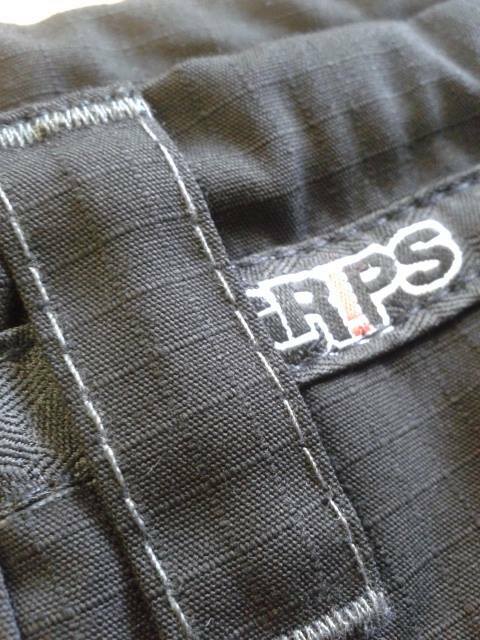 system used on these shorts is made up of a main front velcro panel, beneath which reveals a further two layers of velcro panelling that are secured further by having the drawstring run through the bottom panel to allow you to tighten the waist further if needed. ai??? 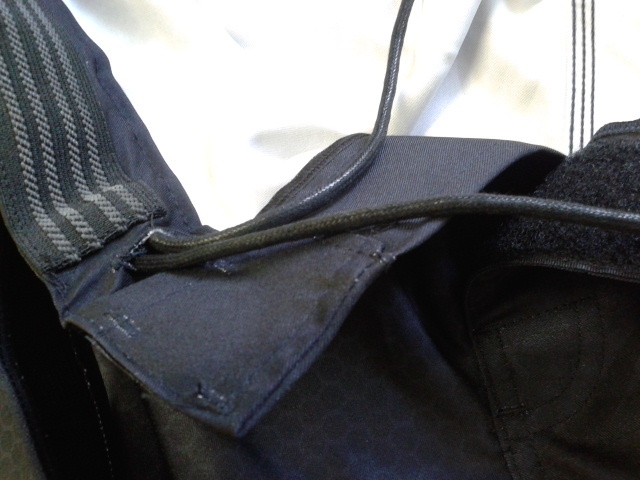 We were also impressed by the style of velcro panelling, as it did not stick to the Jacquard Foam Lace drawstring, something that can be annoying when trying to tie and untie other shorts when it occurs. ai??? 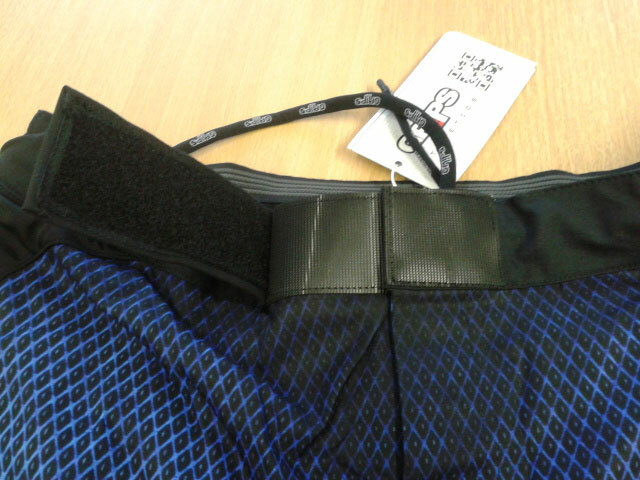 The Silicon Waist Band lining was also of a high standard and we think this will provide excellent grip when compared to other Fight Shorts that have employed this feature. ai??? The Front and Back Anatomical Flex Panels used on these Fight Shorts certainly appear to give them a great deal of flexibility and give. ai??? 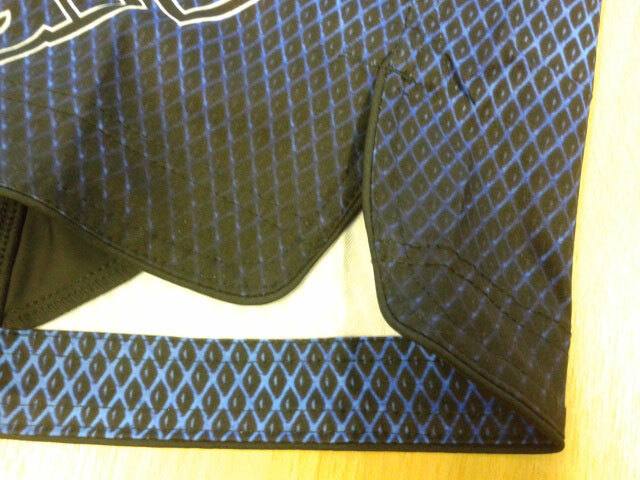 The way that these panels have been integrated in to the Fight Shorts is also done to an extremely high standard, with neat finishing and strong stitching evident in the way they have been constructed. ai??? 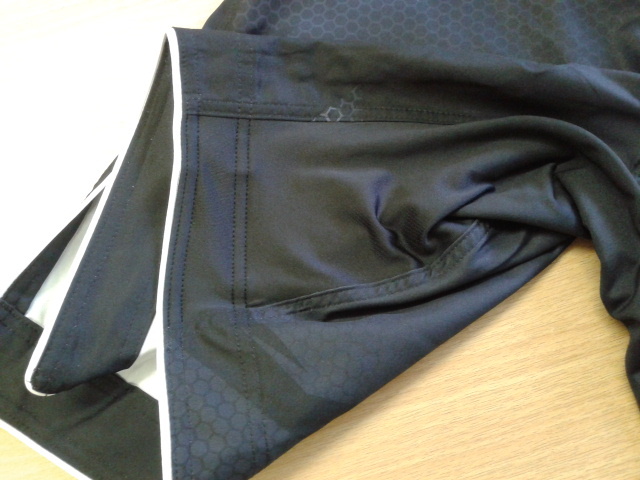 To further aid manoeuvrability for the wearer, these Fight Shorts also feature the now common Inside Leg Spandex Stretch Panels and Side Split Seams. ai??? In addition to the durable, sleek looking waist enclosure system and stretch panel features, there are also a lot of nice little attention to detail touches to these Fight Shorts that show the level of thought that has gone in to their creation. ai??? 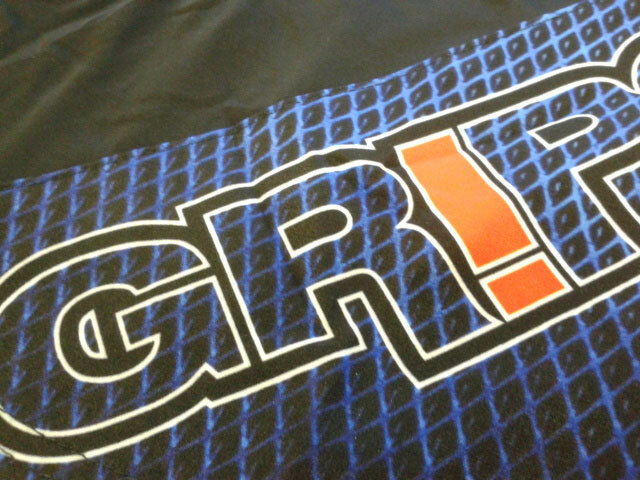 The High Definition Digital Printing looks as crisp and hard wearing as anything that we have seen, also the embossed Grips Athletics Logo on the end of the draw string is a nice touch too. 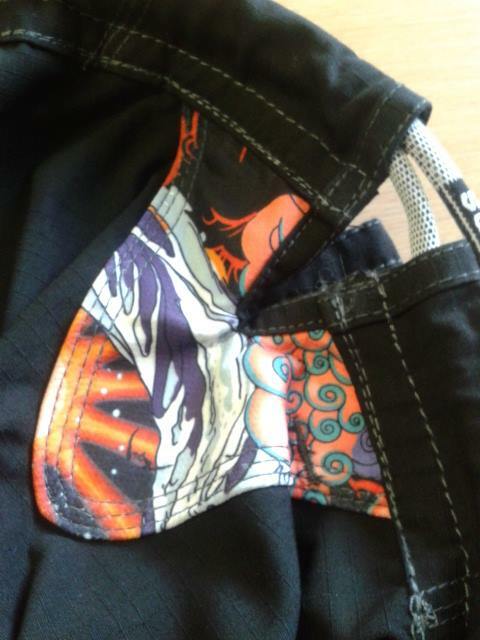 As we were admiring the quality of the stitching on the outside and inside of these Fight Shorts, we noticed the Integrated Inner Gum Shield Pocket which we feel is a cool addition to these impressive Fight Shorts. ai??? 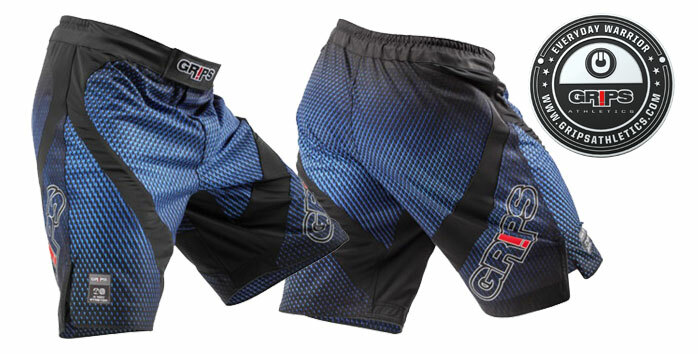 The quality of the Anti Bacterial, Anti Odour, Quick Drying and Breathable properties of these Fight Shorts are features that can only be proved over time after a few uses. 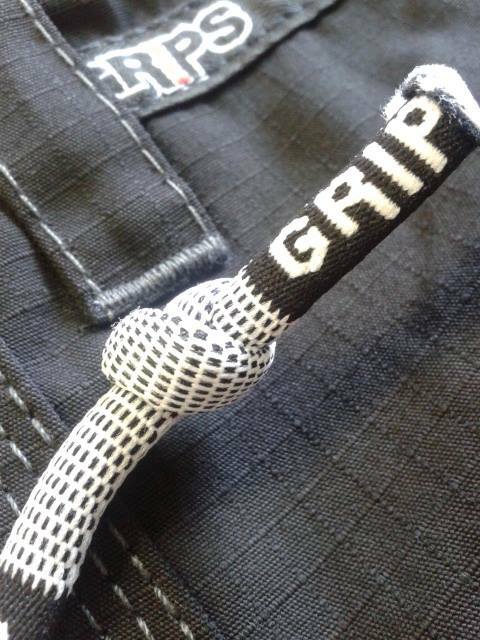 However, it is good to see that Grips Athletics are in tune with the expectations of the more discerning fightwear customer, by including such properties in their technical specifications for this product. ai??? For their price range, after an initial inspection, we donai??i? 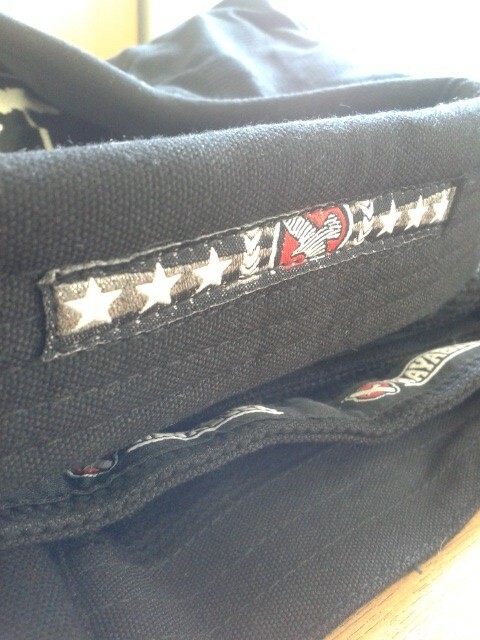 ?t have a bad word to say against these Fight Shorts. 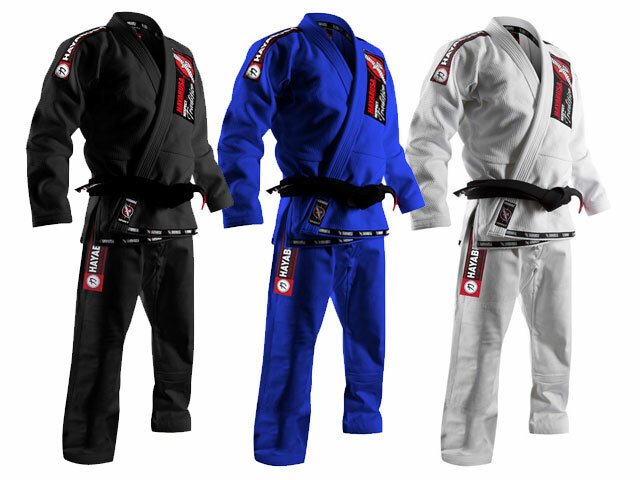 Impeccably constructed and finished, they offer all of the features that you would expect from a high end Fight Short and give the more expensive alternatives a good run for their money when compared side by side. As you would expect from a product ai?? ?Styled in Italyai??i?? we think their understated design and attention to detail is pretty impressive too. 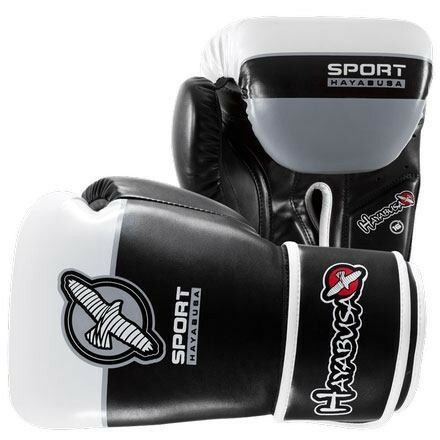 This entry was posted in Products on 17.02.2014 by MMAFightwear.